Bitcoin, currently ranked #1 by market cap, is up 2.23% over the past 24 hours. BTC has a market cap of $121.39B with a 24 hour volume of $4.59B. Bitcoin is up 2.23% over the past 24 hours. As previously reported by CryptoSlate, Bitcoin’s total transacted value has already surpassed online payment processor PayPal and credit card giant Discover in 2018. Since 2015, it’s evident that Bitcoin has seen an almost relentless rate of growth, showing an 8x increase in total transaction value during 2017. If Bitcoin’s rate of growth persists, the world’s leading currency is predicted to exceed Visa’s total transaction value by 2022. On Aug. 28, Bitcoin’s hash rate increased 35 percent from the two days preceding a peak of 61.8 EH/s. Representative of network usage, Bitcoin’s hash rate can be described as the number of hash functions, or computations, that are completed within a certain time period. Bitcoin’s upward trending hash rate is seemingly indicative of the network’s increasing adoption. Ethereum, currently ranked #2 by market cap, is up 1.14% over the past 24 hours. ETH has a market cap of $28.86B with a 24 hour volume of $1.47B. Ethereum is up 1.14% over the past 24 hours. On Aug. 30, futures exchange Cboe Global Markets told market makers that it is working on launching Ether futures. 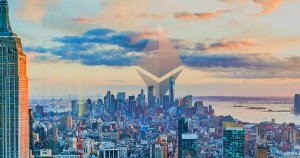 The launch of Ethereum-based futures could catalyze an influx of institutional capital and propel prices of the world’s second largest cryptocurrency. According to Business Insider, the new investment product will be based on Gemini’s underlying market and could launch by the end of 2018. Currently, the Commodities Futures Trading Commission (CFTC) is reviewing the Ether futures. One of the largest bitcoin pools, BTC.com is extending its portfolio for the first time with the addition of options for Ethereum mining. Through the new and Ethereum Classic mining client, users will have the ability to switch hashing power between pools, depending on changing market conditions. BTC.com also plans to release an “integrated Etherum block explorer and API to accompany the mining pool” in an effort to scale Ethereum’s mining infrastructure. The global cryptocurrency market cap stands at $228.66B with a 24 hour volume of $13.15B. The Coinbase Index is currently sitting at 2754.46. Bitcoin dominance is currently at 53.12%. The overall cryptocurrency market has shown signs of stability this month, with leading cryptocurrency prices staying within tight price channels. Bitcoin’s market dominance continues to take rise. At press time, Bitcoin represented 53.2 percent of the entire cryptocurrency market. Traders are reminded to stay cautious and invest only what they can afford to lose.